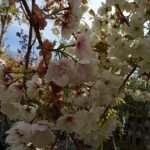 Prunus ‘Ukon’ is a robust, ornamental cherry with a spreading habit. It has creamy double flowers which open from pink buds in the spring. The spring foliage is bronze which turns red and purple in the autumn. 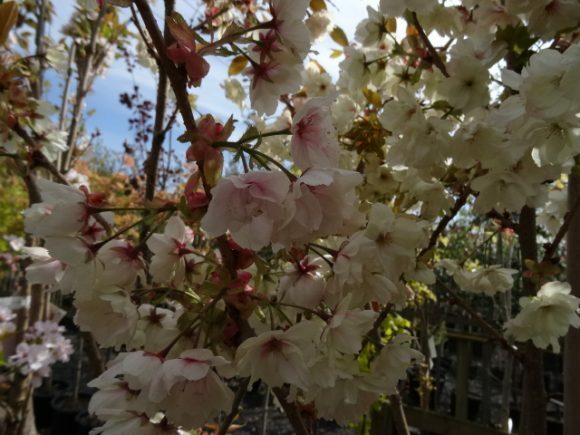 Prunus ‘Ukon’ can tolerate most soils and will grow in full sun or partial shade, and is hardy. It has an eventual height (in 20 years) of approximately 6m and a spread of approximately 4m.